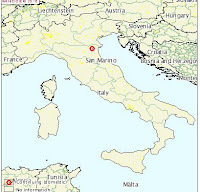 Except for France, Europe has seen remarkably few avian flu outbreaks in 2016, although last December we did see Italy: LPAI H5N2 On A Turkey Farm in the Emilia-Romagna administrative Region of Northern Italy. Today, however, the OIE reports on an HPAI H7N7 outbreak - again in Emilia-Romagna - involving layer hens. 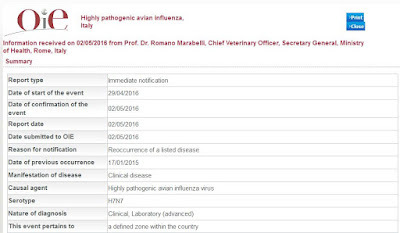 Human infection with H7N7, while rare (and generally mild), was documented as recently as 2013 (see ECDC Update & Assessment: Human Infection By Avian H7N7 In Italy) and in a much larger outbreak more than a dozen years ago (see Eurosurveillance Journal Human-to-human transmission of avian influenza A/H7N7, The Netherlands, 2003. 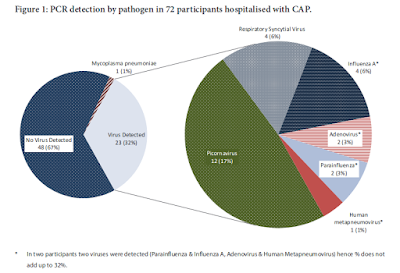 Despite these cases - with the exception of China's H7N9 virus - most avian H7 viruses are considered primarily a threat to the poultry industry. The positivity regards a commercial farm of layer hens (free-range/organic). Increased mortality rate was reported during the last two to three days. A protection zone of three kms and a surveillance zone of ten kms have been established around the farm, which is under restriction. Depopulation has been completed.